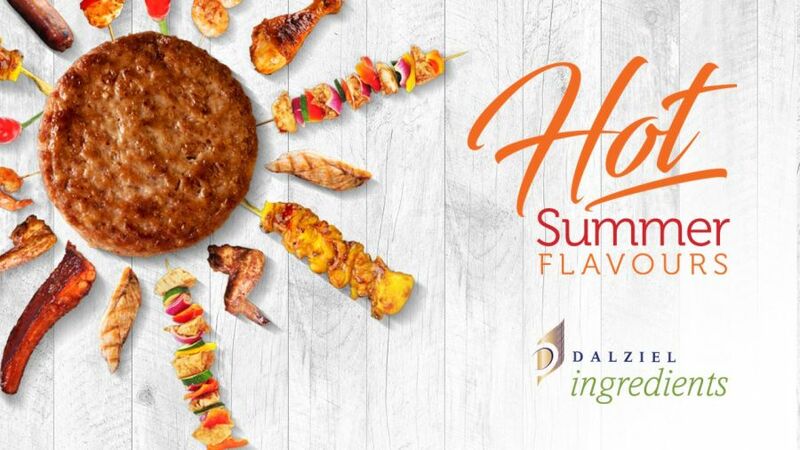 Dalziel Ingredients is giving food manufacturers a ‘heads up’ on what’s hot for BBQ season, with an innovative customised service that predicts products, trends and influences which can be presented at their NPD Centre in Newcastle our at your own site. The UK specialist in bespoke seasoning blends, cures and functional ingredients has started their annual review of BBQ and summer eating habits and trends, which can be specially tailored for customers. It covers foodservice / retail chilled and frozen meat products, fish, sauces, snacks, ready to eat and vegetarian. It’s one of a regular series of foody market reports published by the company’s product development and marketing team, which also includes a sausage report and Christmas review. Dalziel Ingredients’ product development team advises food manufacturers on new flavour concepts and trends, market analysis, factory processes, recipe formulations and product quality enhancements. Denise McGrahan, Marketing Coordinator at Dalziel Ingredients, said that the company’s BBQ report is an invaluable resource to customers. “We help clients look for interesting ways to add a new twist to their BBQ products. At our state-of-the-art development centre, we focus on taking ideas and delivering appealing, commercially viable end-products. “We also have access to Mintel’s world wide GNPD data, Food and Foodservice reports so we can generate bespoke reports for our customers who are looking to capture global trends. Dalziel Ingredients is now focused on current health trends, including salt and sugar reduction and replacers. Equally, the team is developing new product ideas in increased protein and fat reduction.